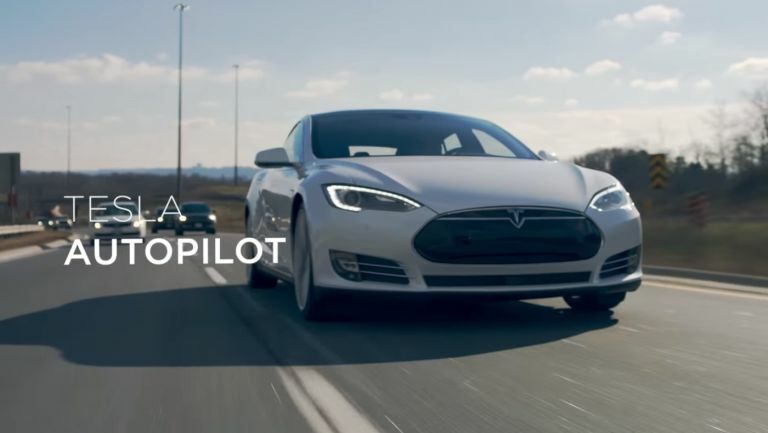 Automotive manufacturer Tesla Motors has unleashed a new promotional video that aim to tout the potential strengths and benefits of its new Tesla Autopilot technology in the Model S.
Still, there are some interesting features being showcased here: Hit the 'Summon' command and your autonomous motor drives itself out of your garage, or enable the program to guide your car through tight lane changes or navigate a parallel park at the end. That's not to say all of these features are exclusive to the Tesla Autopilot - far from it - but the company clearly wants you to know it's working on something special. Of course, if you look closely you'll notice the driver in the video never actually lets go of the wheel, which is surely a call back to the recent statement from Tesla that the Model S would need a few 'limitations' in order to dissuade drivers from pulling dumb stunts with the autonomous tech while driving. The firm still hasn't revealed just how severe these limitations could be, but it's a wise move nonetheless.